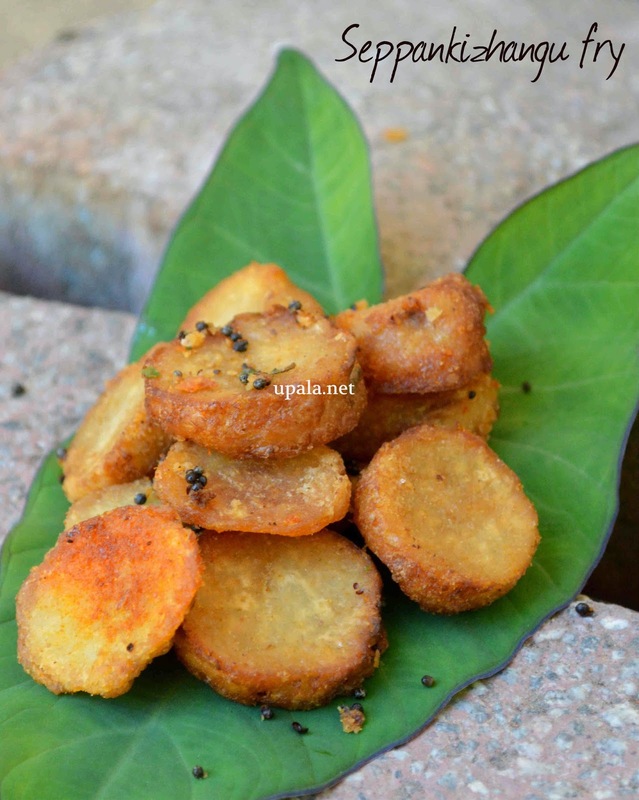 Seppankizhangu (Tamil)/Colocasia/Arbi (Hindi)/Kesuvina Gadde (Kannada) fry is a tasty roast that goes well with Rice varieties. In Karnataka, even the leaf part of Colocasia is used to prepare many delicious traditional recipes. 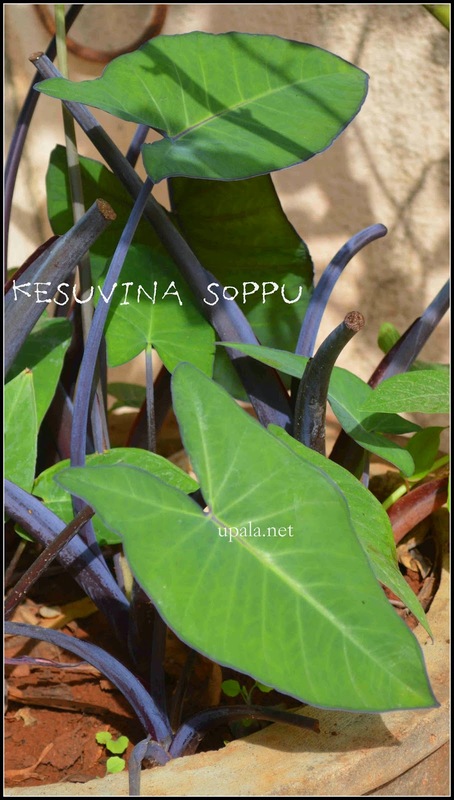 The leaf of Colocasia is called Kesuvina Soppu in Kannada. The shape of the leaf looked attractive so I used it in my picture. 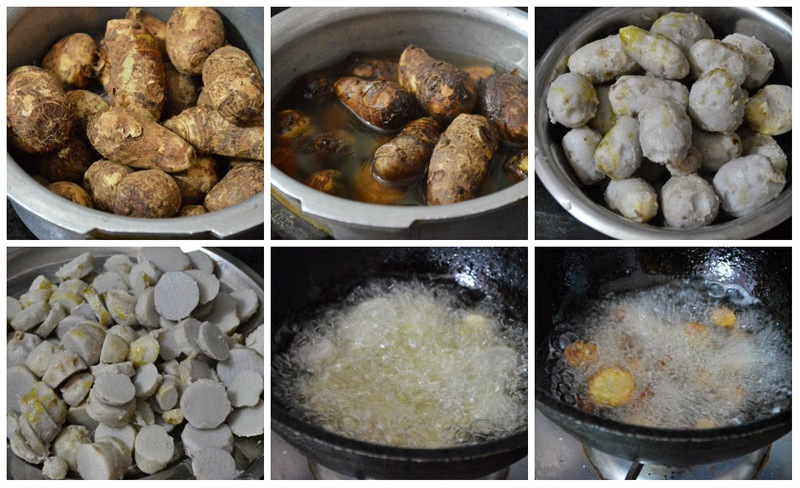 1) Wash and clean the Colocasia and pressure cook it for 1 whistle. Colocasia needs to be parboiled and should not get mushy. Alternatively you can cook them directly in boiling water for 10 mins and close it with a lid and keep aside. 2) After it cools, remove the skin and slice it. 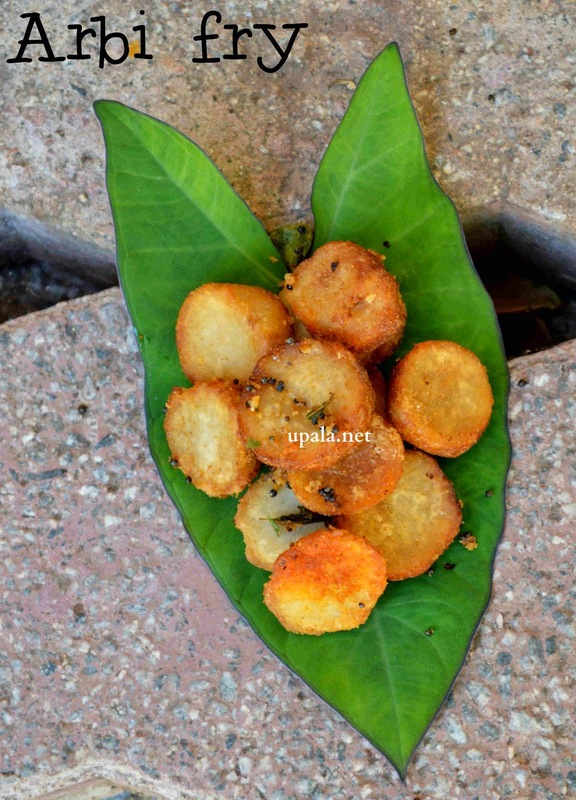 3) Heat oil in a kadai and drop these colocasia pieces in batches. 4) Leave it to cook in hot oil till they become crispy and golden brown on both sides. Turning them in between helps to cook evenly. Remove it from oil and drop on napkins to remove excess oil. 5) Add Hing, Chilli powder and Salt, mix well. 6) Heat oil in a kadai and crackle mustard seeds. Add curry leaves and fry. 7) Add this seasoning mixture to Colocassia roast and mix well. Tasty Seppankizhangu roast is ready. 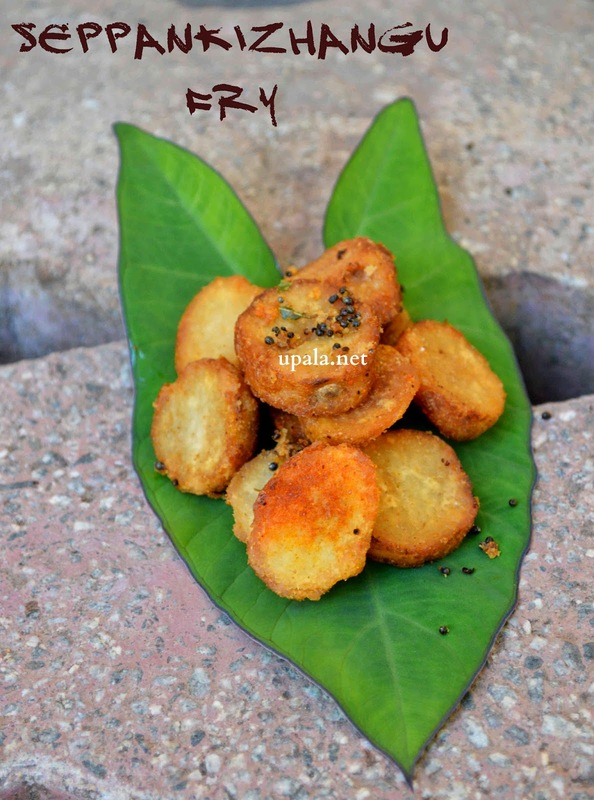 1) Instead of adding the spice powder after frying, you can marinate these spice powders to cooked colocasia and mix well then fry in oil. Also adding 1 tsp of Rice flour or Besan flour while marinating gives extra crispness. 2) You can also skip the seasoning and have it plain according to your taste. 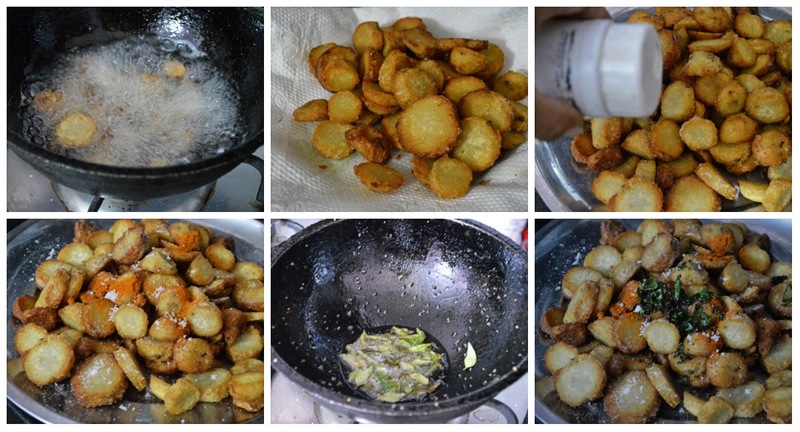 3) You can also fry the Colocasia without slicing as whole pieces or just cut them as halves and fry.